Born in 460 B.C. - Died in 377 B.C. Hippocrates (hih POK ruh teez) lived 400 years before the birth of Christ. He is known as the father of medicine because many of the things he discovered are still practiced today. During the time when Hippocrates lived, people were very superstitious. * They believed there were four fluids in the body which matched four elements; earth, air, fire and water. They would carry sick people to the temple because they thought the god of medicine, Aesculapius (es kyoo LAY pe us) could heal them. They would say magic words over the patient to try and heal them. He told his students to carefully observe their patients and to learn from the things they had observed. He said the human body could heal itself and could return itself to good health. The patient was given something to relieve pain, but nothing else was done. He told his patients they should eat a moderate amount of food; not too much and not too little. A moderate amount of exercise was recommended. Patients were encouraged to walk for exercise. Doctors were told to make sure their hands were clean before they treated patients. He said the operating room should be well lighted and look cheerful. He thought patients in good spirits would heal faster. 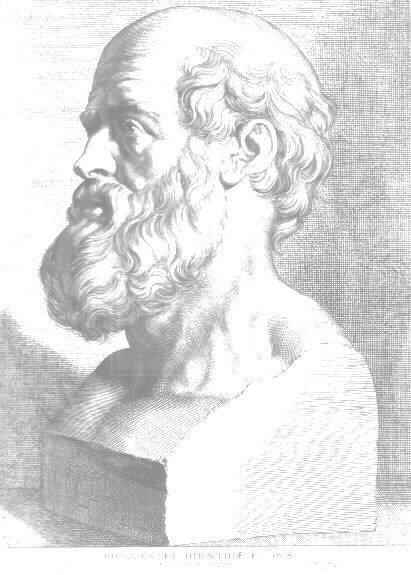 Physicians should be men of honor, according to Hippocrates. He encouraged them to work as hard as possible for the good of the sick. The Hippocratic (hip uh CRAT ick) Oath was named for him. It included rules of conducts for doctors and even today doctors still honor a form of the oath. A collection of Ancient Medical texts. 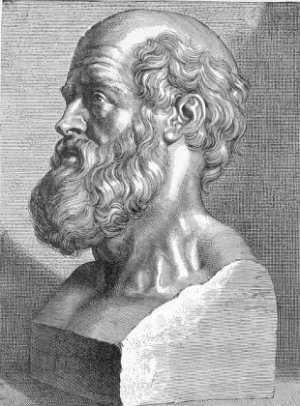 Press "Go" to search for books about Hippocrates. You do not need permission to use the picture on this page. It is in the public domain. 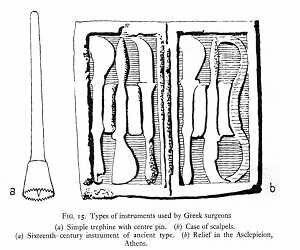 Imhotep is the father of Medicine. Ancient Kush and Khemet people from Africa taught the Greeks everything they know. Thank you so much for making most worksheets just one page-- a great paper saver! Thank you for making these accessible to us! Great website! Good information, and education tools. I found this site by accident, but glad that I did! Thank you for maintaining this site. This page displayed 153,456 times.